Last September, McLaren Automotive brought you the debut of the P1™as a design study at the Paris Auto Show. They just released a video on on their YouTube channel of the P1™ driving, and OMG!!! Using CFD (computational fluid dynamics) aerodynamic modeling and bespoke Formula 1™-derived dynamics simulation tools, outstanding performance against aggressive targets was established even before the first prototype builds. 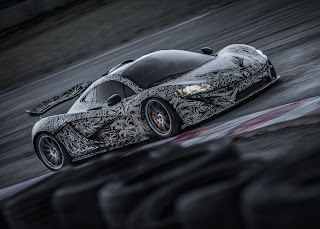 Detailed analysis has continued hand in hand with physical testing to accelerate the further development of the McLaren P1™. Please click play and feel as giddy as I did.